Green On Red Gallery is proud to announce the forthcoming solo exhibition by John Cronin at the Royal Hibernian Academy upstairs in Gallery II. This would be the artist first museum survey exhibition of recent and new works, and an opportunity to see afresh and in one location the largest collection of his oil on aluminium paintings to-date.
" ZXX, my latest body of work is a logical development of Augmented Reality and Standard Deviation as it sees me trying to take control of their corrupted elements and deviations while reflecting my continuing concerns about the processing of information. The name ZXX comes from a system the US Library of Congress uses to denote a book’s written language. In this context ZXX means “No linguistic content” which in itself is a beautiful metaphor for Abstraction. " A new monograph on the artist published by the Royal Hibernian Academy will follow this survey exhibition. Wednesday, 6 July 2016, 6.30-7.30pm. All welcome for wine reception and talk. 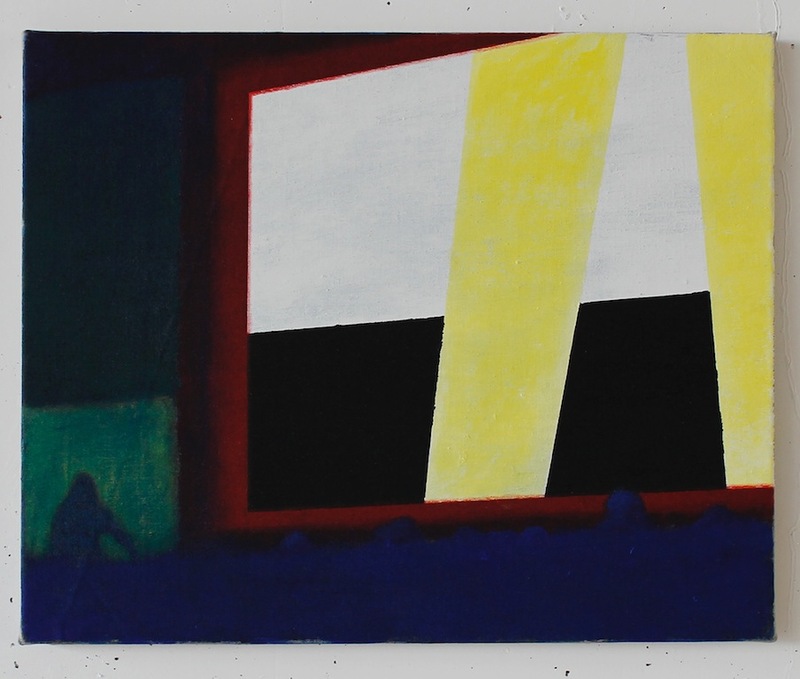 Ramon Kassam, Talk, 2016, Acrylic on linen, 41 x 51 cms. The Green On Red Gallery is very pleased to announce the forthcoming Artist's Talk by its newest exhibitor, Ramon Kassam, in the Spencer Dock gallery on Wednesday 6 July, 2016, at 6.30pm. The talk coincides with the artist's first solo show in the gallery calledWorks. The exhibition, originally scheduled to finish on July 2, will extend for a further week giving you all another chance to view and to learn about this intriguing exhibition of paintings and its author. Works will finish on Saturday, July 9th, 2016. The next exhibition,Summertime, will open to the public on Thursday, 14 July and run until August 20, 2016. He is the recipient this year of the Arts Council/An Chomhairle Ealaíon 16 x 16 Next Generation 2016 Award and the Askeaton Residency Award.